I’m back with more show and tell, focused this time on accessories and garments knit with Brooklyn Tweed Peerie. 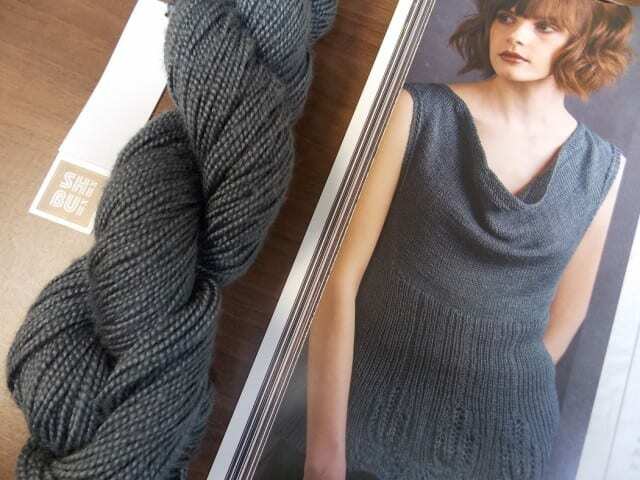 Peerie is one of the four yarns featured in our current BT Wool People 12 Trunk Show, so it seems fitting to share some of the projects folks are making with this special yarn. Elsbeth knit this “Architexture” scarf with Peerie and came back for more to make another one, an excellent endorsement of yarn and pattern alike. 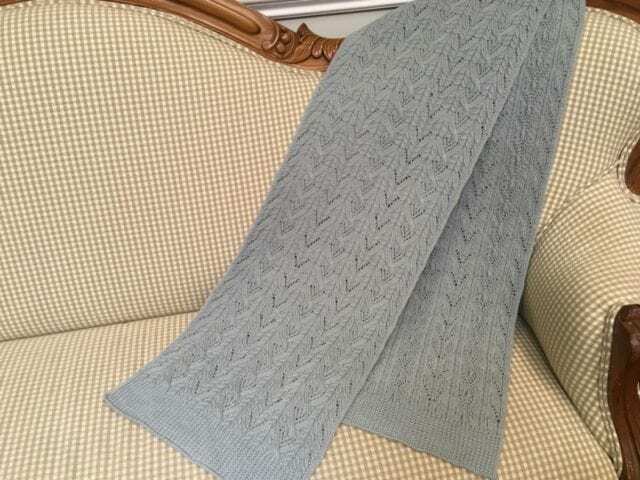 Peerie’s smooth, round texture is perfect for showing off knit and purl texture patterns like those featured here. 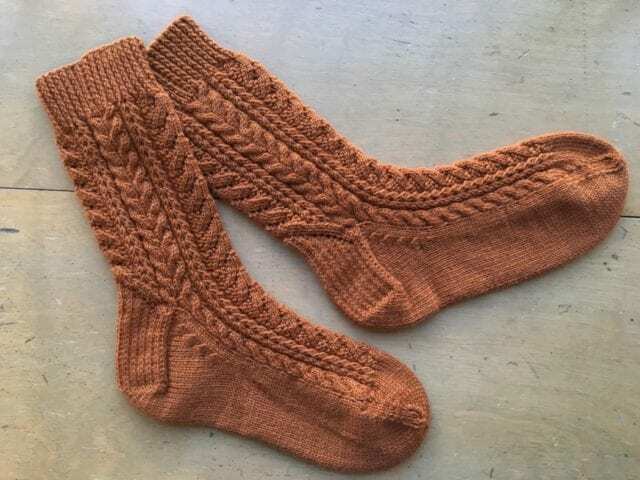 Margaretta has also been charmed by Peerie, having used it to knit both the “Afton” scarf above and the “Hazelfern” socks below. Both of these texture-rich patterns were thoughtfully designed by Jared Flood, and Margaretta appreciated the quality and clarity of the patterns as much as the yarn. 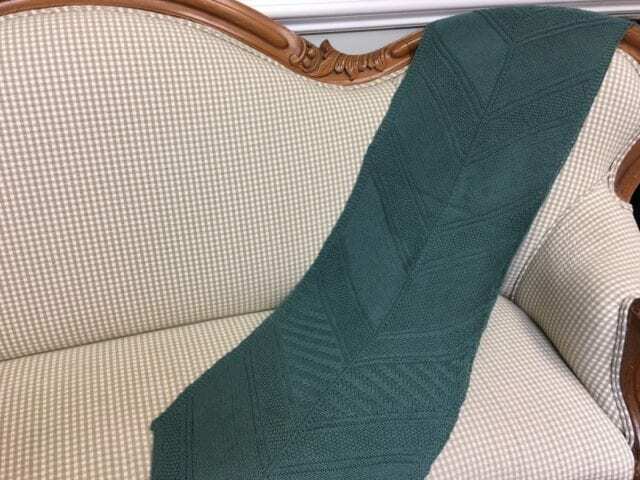 Jane knit this impressive “Butterfly / Papillon” shawl with six shades of Peerie during Nancy’s recent class here at the shop. I’m particularly struck by Jane’s unique color combination, a balance of warm and cool colors, light and dark. Well done, Jane! 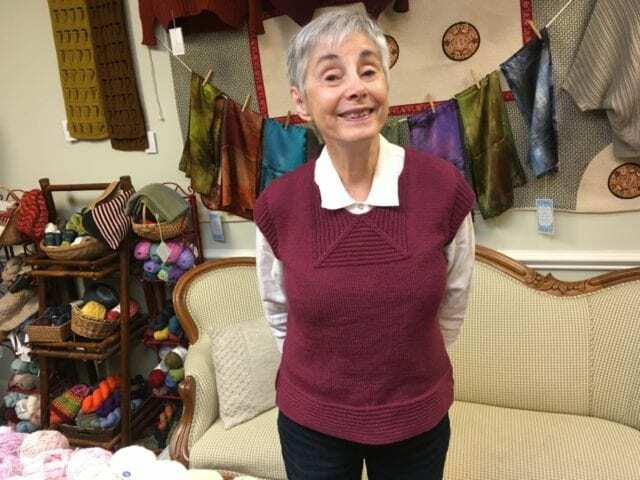 Here’s Ruth in her “Boardwalk,” knit with Peerie in a cheery pink shade. 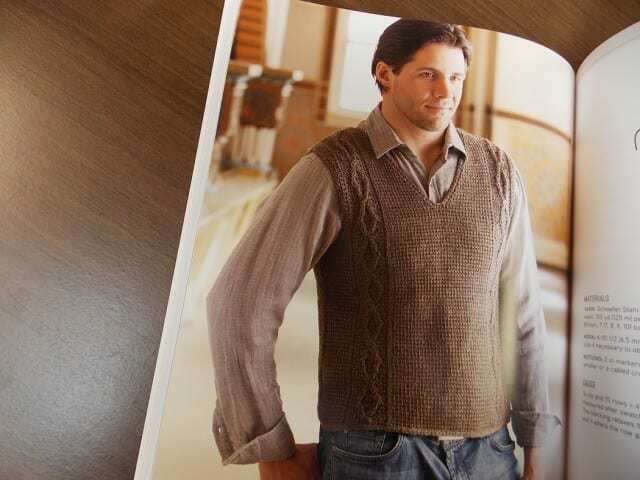 This pattern has been a popular one, whether knit in Peerie or in Loft, in part because of how wearable it is. The design is clever and flattering, a layer that manages to look both smart and casual. 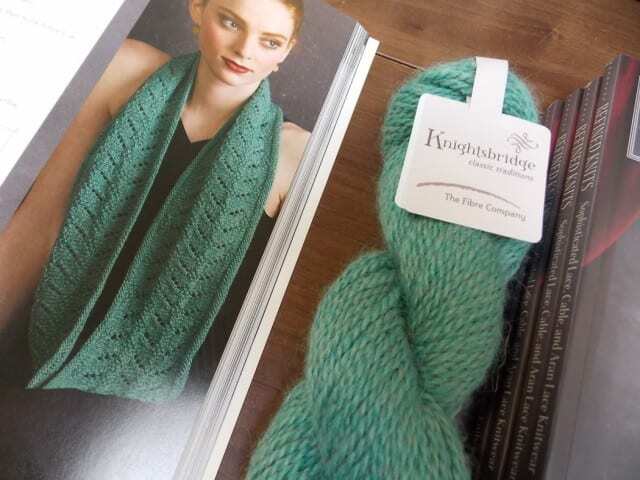 Thanks to Kathryn, Elsbeth, Margaretta, Jane, and Ruth for sharing these knits with us, and to everyone whose projects begin with trips to our shop. 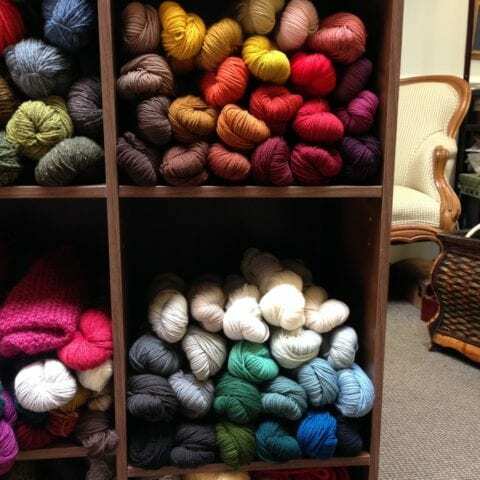 Come by before March 3rd to see the Wool People 12 Trunk Show and get 10% off Brooklyn Tweed Peerie, Loft, Vale, and Arbor. See you there! 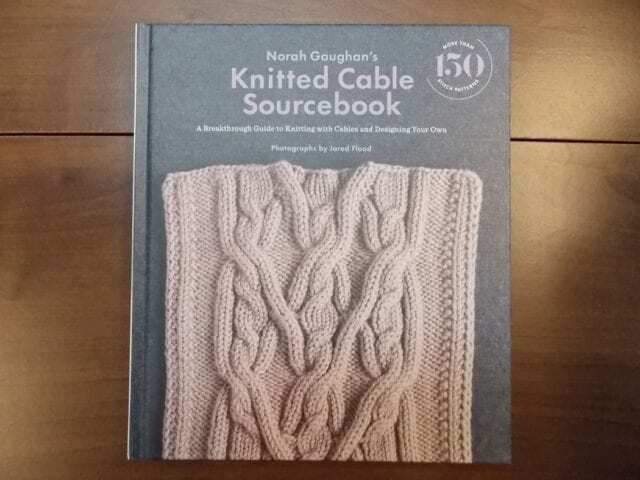 Norah Gaughan’s Knitted Cable Sourcebook. Here is a book you have probably seen already, one that you may even own already, for we’ve sold out and reordered it many times since its initial publication last October. It was selling quickly enough that I waited to buy my own copy until our supply steadied, so though I’ve admired it for months, I’ve only recently sat down and spent time with this beautiful book. 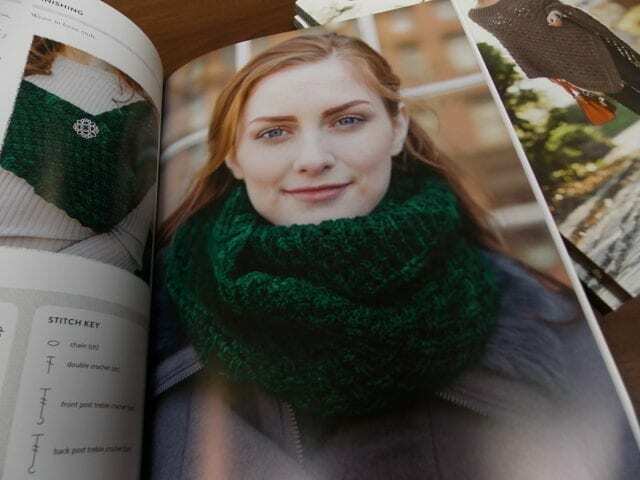 Here’s Norah Gaughan’s Knitted Cable Sourcebook, a compendium of cable stitch patterns, garments, and wisdom. 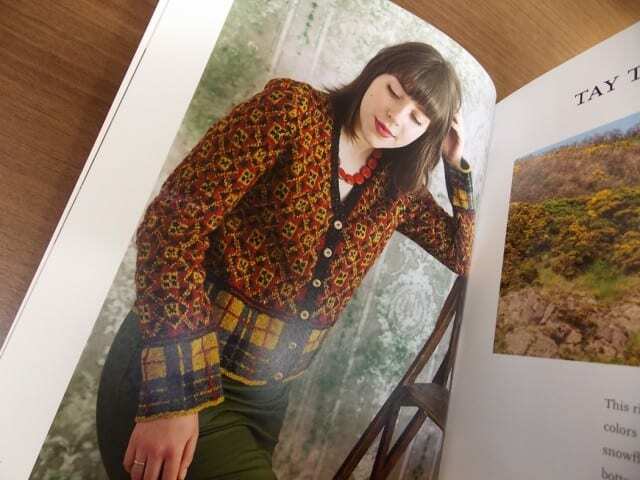 In this book, designer Norah Gaughan introduces over 150 cable stitch patterns with both written and charted instructions, all of which are lovingly photographed by the talented Jared Flood. The book itself is a thing of beauty, but beautiful as it is, the contents of this tome are the star, no matter the packaging. 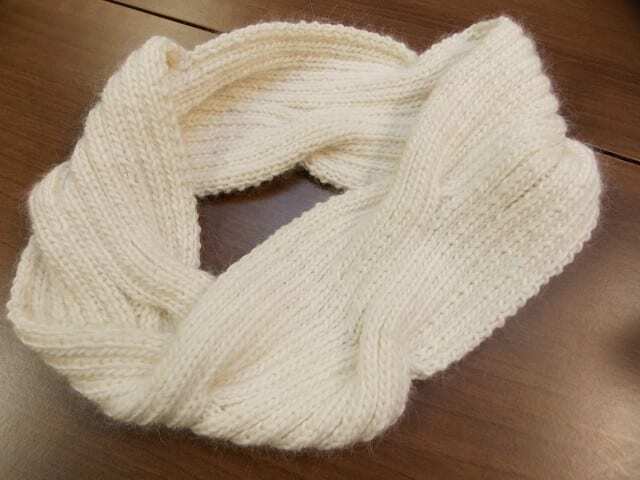 Gaughan has devised a Stockinette Stitch Equivalent for each of these motifs, a way of saying how many stockinette stitches it would take to make the same width as the cable in question. This allows you to substitute one cable for another with ease, and also to add cables to a plain garment without letting the naturally-smaller gauge of cable patterns mess with the overall size of the piece. Gaughan clearly describes this system and how to use it towards the beginning of the book, where she also lays out hints for chart-reading, yarn choice, symbols and terminology. Don’t miss the troubleshooting section either, from which Karen Templer of Fringe Association pulled a real gem. 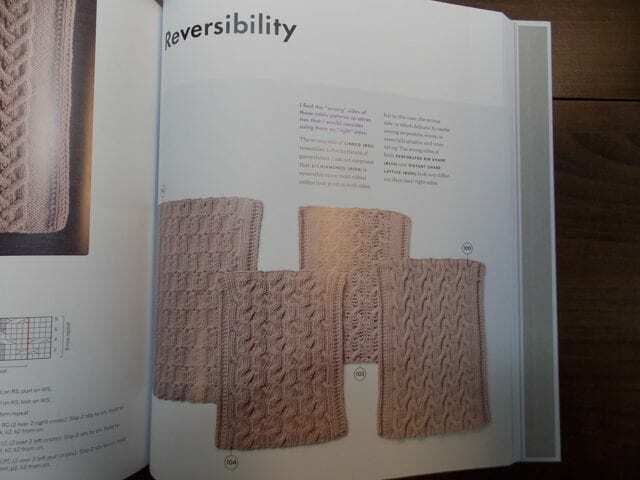 There are patterns for cabled garments, too, if design isn’t your thing. From pullovers and cardigans to ponchos and skirts, Gaughan has put her cable patterns to good and interesting use. 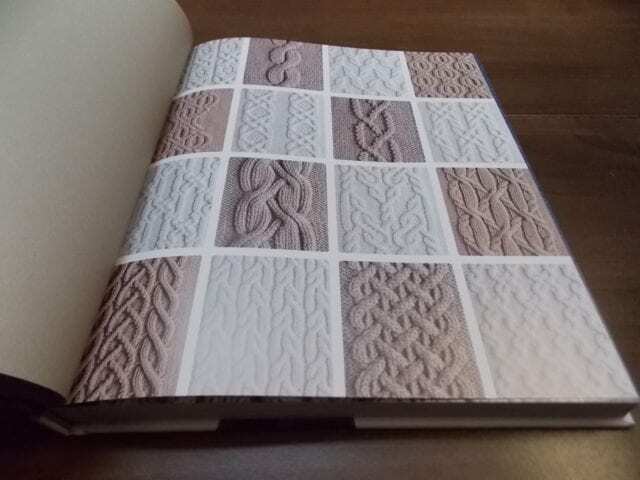 In short, if you are at all interested in cable knitting or design, you should take a look at Norah Gaughan’s Knitted Cable Sourcebook. Find it on the teacart here at the shop! 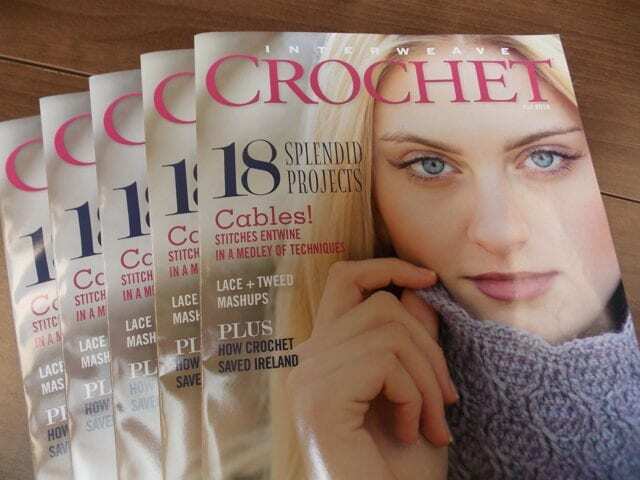 Interweave Crochet & Celtic Cable Crochet. 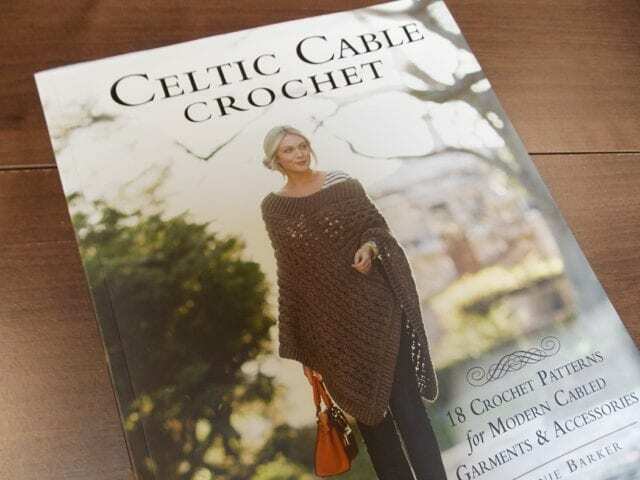 The past week or so brought two new publications for crocheters: the Fall 2016 issue of Interweave Crochet and a new book, Celtic Cable Crochet. 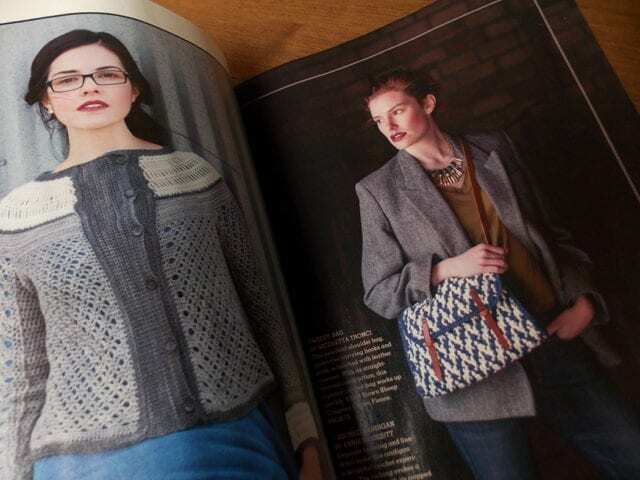 This issue of Interweave Crochet is full of cardigans, cold-weather accessories, and even a smart houndstooth bag. 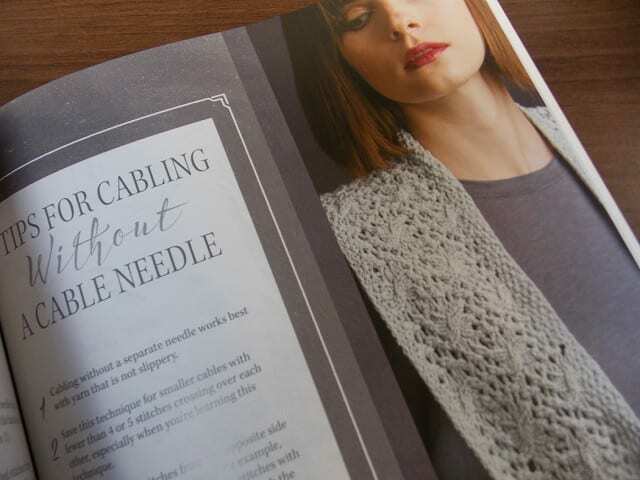 Both publications feature cables, a technique I’m far more used to seeing in knitted garments than crochet. 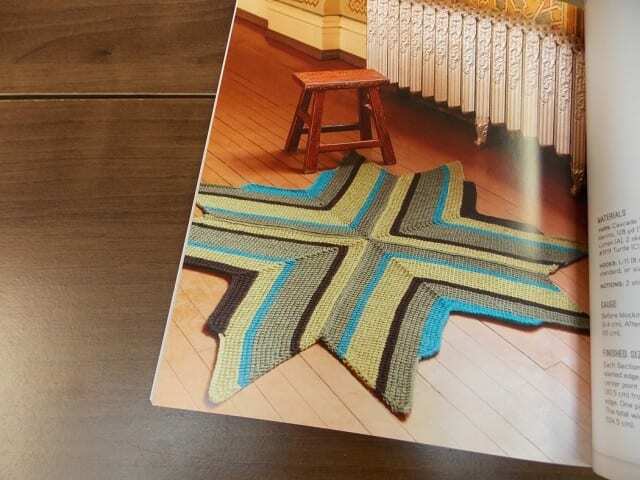 Crochet is a craft that can do far more than it is sometimes given credit for, however, and new magazines and books continue to open our eyes to the possibilities. 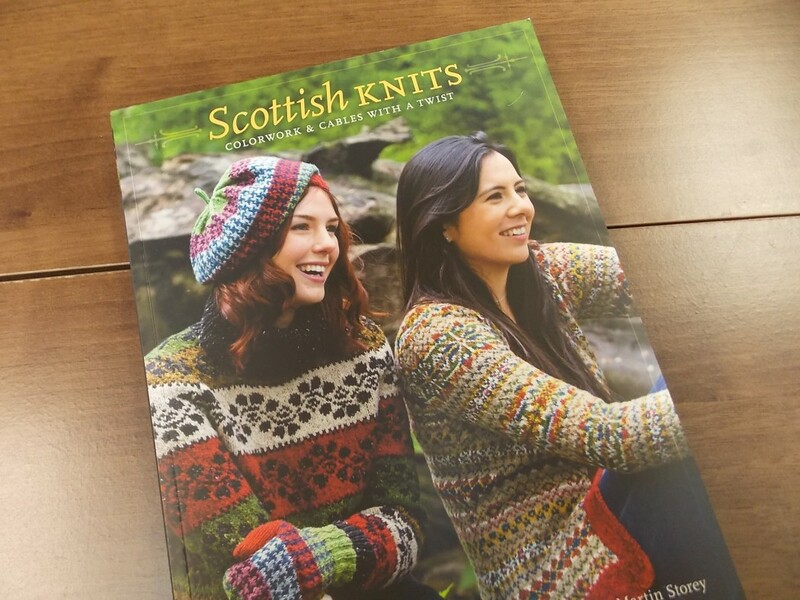 Come by the shop to see what’s new, and to plan your next project, whether knit or crochet. See you there! 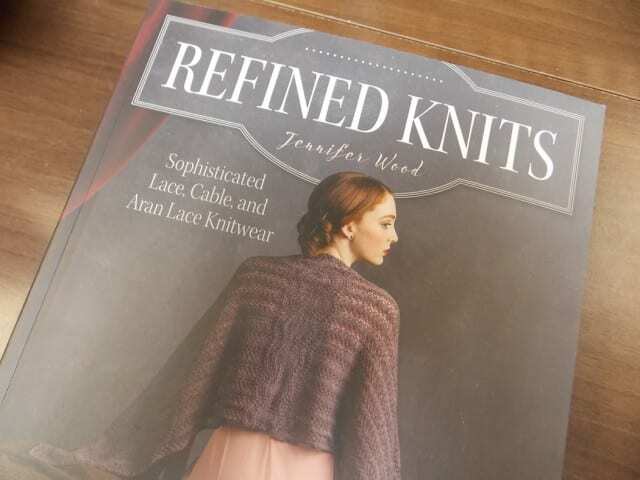 A new stack of books have found a place on the teacart here at the shop, Jennifer Wood’s Refined Knits. 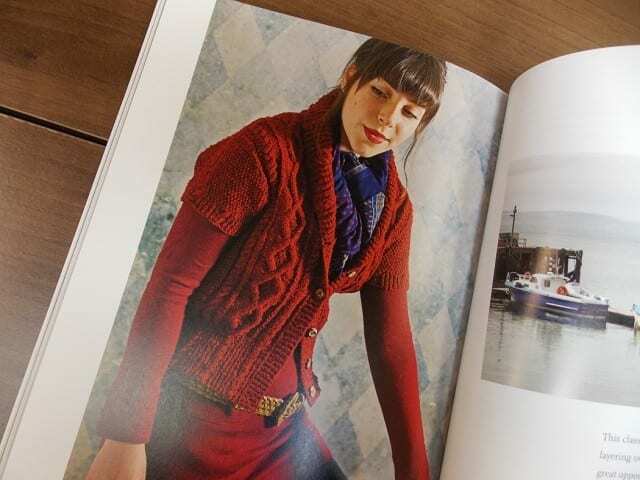 Refined Knits is a collection of patterns for garments and accessories, focusing on lace, cables, and stitch patterns that combine the two. 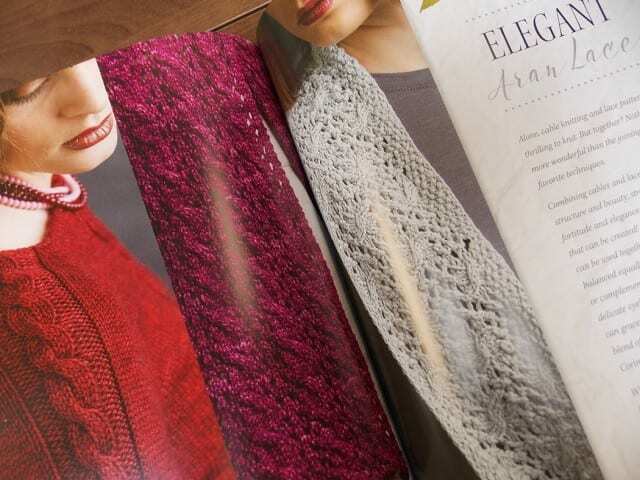 I spied some of our very favorite yarns in this book, like Shibui Staccato and Fibre Company Knightsbridge. 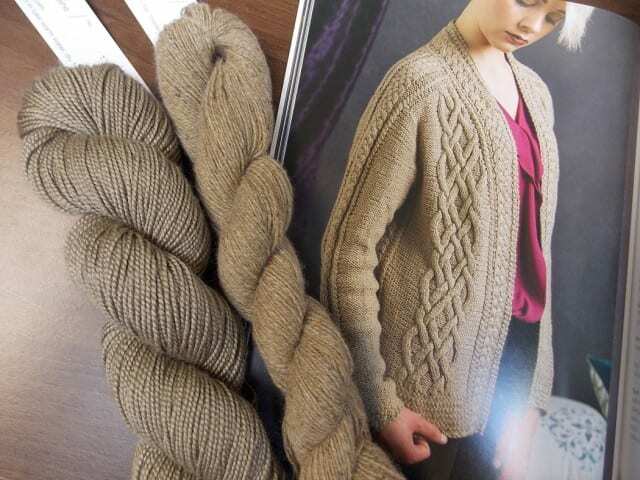 This cabled cardigan uses Shibui Staccato and Pebble held together, for a thicker fabric and a unique combination of a lustrous solid color yarn and a tweedy one. Along with the patterns, Wood offers tutorials and tips throughout the book, shedding light on some of the techniques she employs. 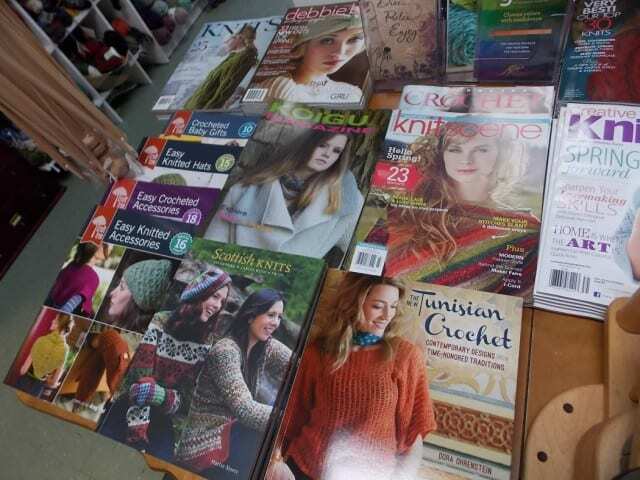 Come by the shop to browse our collection of books, magazines, single patterns, and handknit samples. We hope you find inspiration here as you plan your next project! 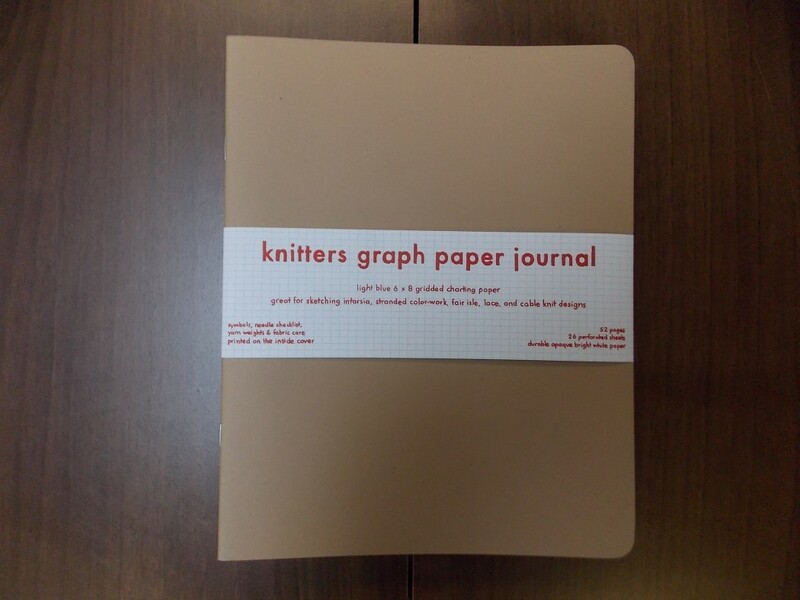 I’m happy to announce that we now stock Knitter’s Graph Paper Journals at the Hillsborough Yarn Shop, the perfect notebook to slip into your knitting bag. 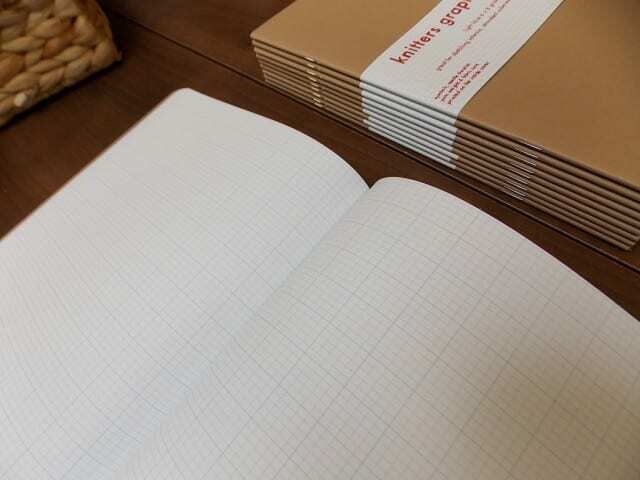 These slim, unassuming notebooks are full of knitter’s graph paper, with squares that, like knitted stitches, are wider than they are tall. This makes them ideal for penciling in all manner of knitting charts, from cables and colorwork to lace, intarsia, and texture patterns. 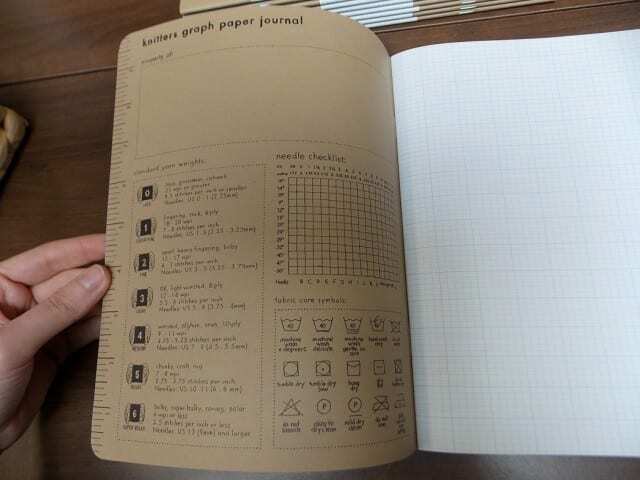 The Knitter’s Graph Paper Journal is made in Oakland, CA, and designed by a knitter, Narangkar Glover. 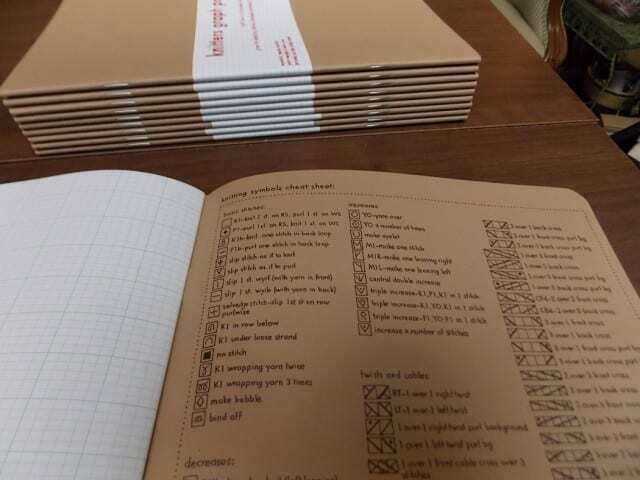 The pages may be blank, but the inside covers are packed with information: a ruler on one edge, a needle inventory, a key for common knitting symbols, a guide to yarn weights and fabric care symbols. It’s simple and practical, but also beautiful, I think. 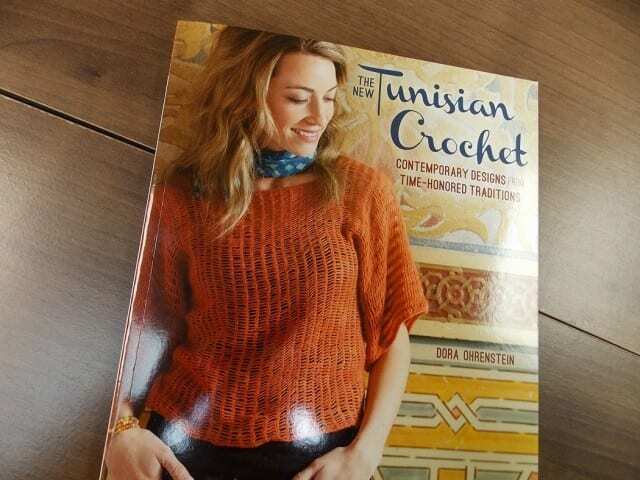 I bought one the moment we got them in stock, and just having one in my hands makes me eager to sketch some new stitch pattern, or plan a colorwork project. I look forward to filling it with notes, charts, and ideas. Come by the shop to pick up a Knitter’s Graph Paper Journal for yourself or a friend! 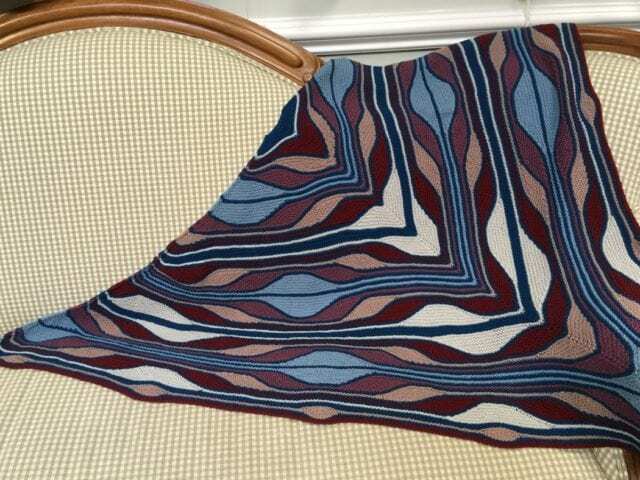 A new sample is decorating our walls: here’s a Lava Flow Cowl. This Lava Flow Cowl was made by Amy, who’s teaching an upcoming class on the subject. It’s full of interesting techniques, like a provisional cast-on, reversible cables, and kitchener stitch in a ribbed pattern. 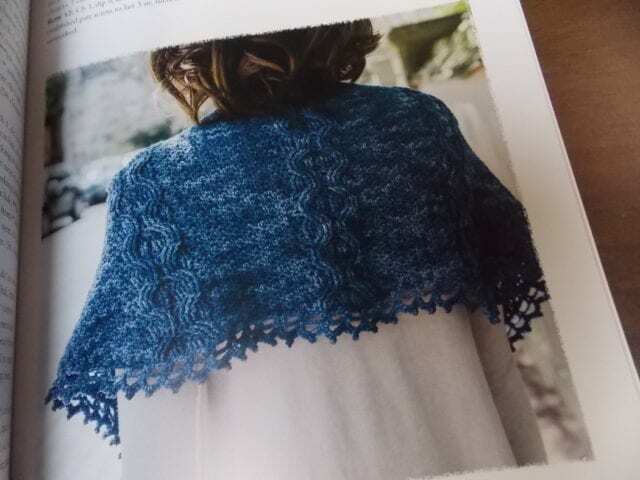 If these techniques are new to you, consider taking the class and reap the benefits of Amy’s guidance, as well as the camaraderie of other knitters. 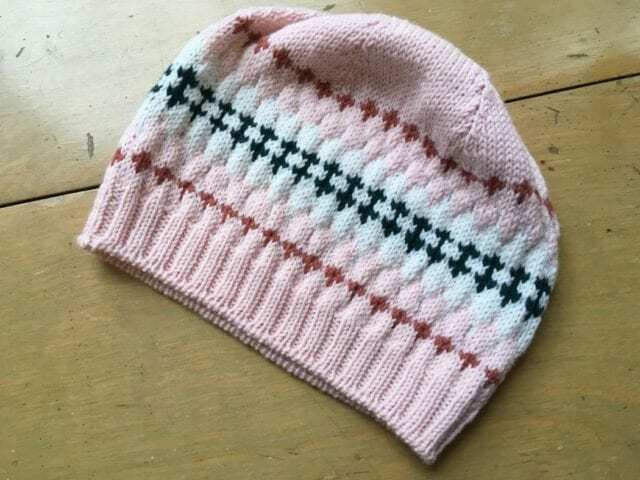 The pattern is available as a free download from Ravelry, and is a perfect garment to showcase a special yarn in a dk or light worsted weight. 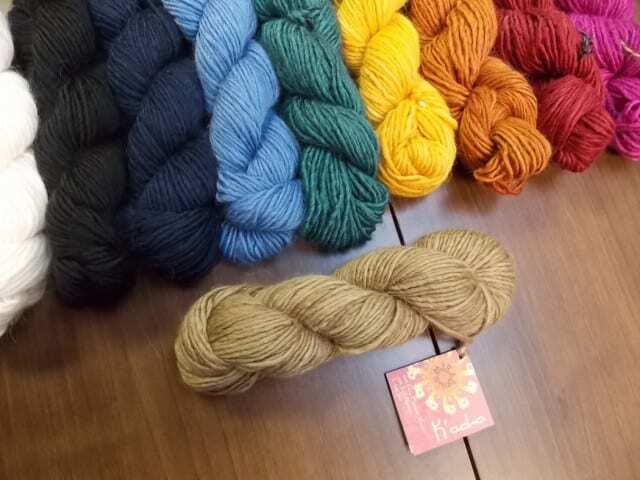 Amy’s sample is made in Mirasol K’acha, a light worsted weight blend of merino wool, alpaca, and silk. Come by the shop to try it on for size, and see if you’d like to make one yourself! The shop was closed most of Friday and all day Saturday because of the mix of sleet and snow that covered the Triangle, making for dangerous driving. It wasn’t much snow, to be sure, but the threat of slippery, icy roads was enough for us; better safe than sorry, better to stay home and enjoy one of the pleasures of a Southern winter: a snow day. No surprise, I did a lot of knitting. What better use could there be for an unexpected day at home? I worked on Burrard, a cabled cardigan that has kept me company this past month or so. 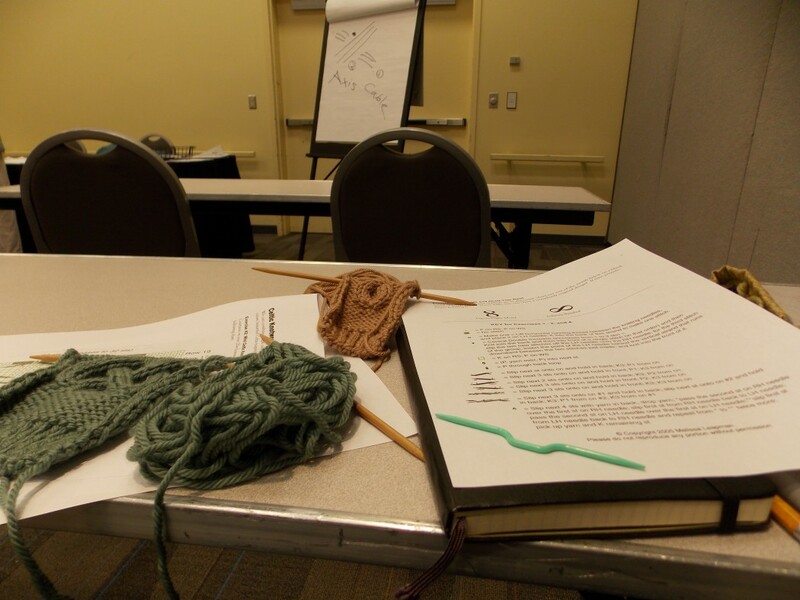 Thanks to a class I took at TNNA in June and to the oh-so-useful Charts Made Simple, I finally feel confident knitting from charts. 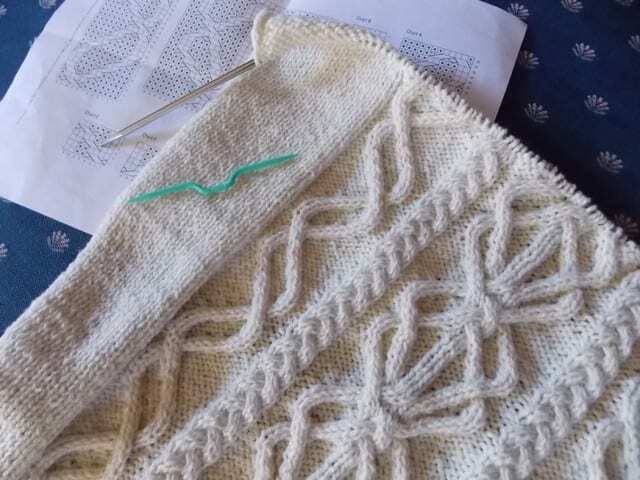 It’s exciting to watch the cable patterns emerge, row by row, and to be liberated from written instructions. I hope you all had the chance to spend some time playing with yarn this weekend, staying safe and warm. If you missed us on Friday or Saturday, come by soon and show us what you’ve been working on. We’re back open today, Sunday the 27th, at our regular business hours. See you there! This morning, I attended a class on Celtic cables taught by Melissa Leapman, knitwear designer and author of Cables Untangled, Continuous Cables, Stashbuster Knits, and Mastering Color Knitting, among many others. I’ve knit a cabled sweater or two, made a couple of pairs of Fetchings, but always working from patterns with written instructions rather than charts. I’ve never really wrestled with the logic of how cables function, never played with them much, instead filing them away under “techniques to learn some other time.” The time came this morning. In this class, Leapman focused on larger, self-contained cable motifs rather than the vertical patterns we usually think of as cables. She taught us how to read her charts, which I was relieved to find somewhat intuitive, rather than mind-boggling, as charts sometimes are. There were unfamiliar increases and decreases to learn, as well, dramatic increases and decreases that created or got rid of many stitches at a time. 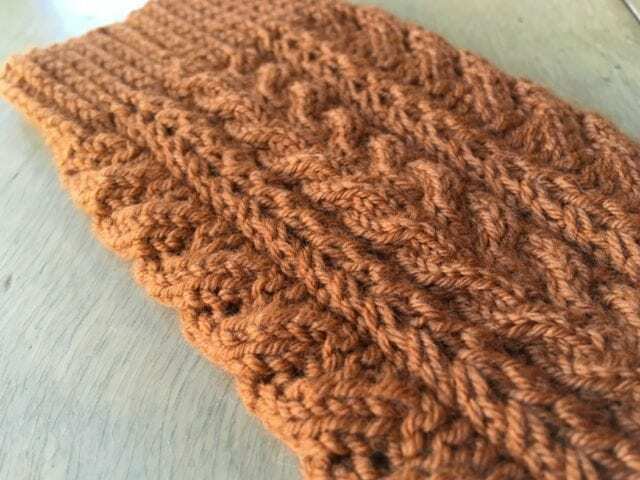 These quickly increased and decreased stitches allow the cables to pull in, as cables do, without affecting the overall width of the knitted fabric. Soon I had a Celtic knot, sitting nicely on top of a reverse stockinette background: a very pleasing sight. I left class ready to tackle a third Celtic cable, a full-page, 45 row chart that had looked rather frightening when I first paged through the handout. Now I can make (some) sense of it, all because I sat down with a group of knitters and swatched and practiced, asked questions and swatched some more. I’m so pleased to be learning something new, and to be reminded that in knitting, there is always something new to learn. Tomorrow, I’ll take another class and look forward to seeing all the vendors. 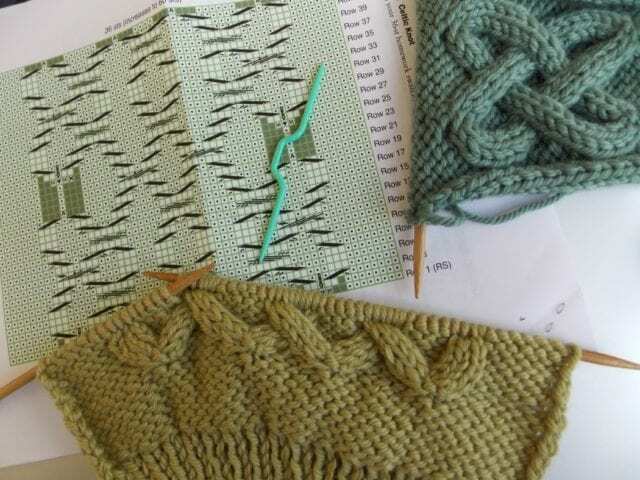 Til then, I’ll swatch, and look forward to hearing about Anne and Rosi’s classes and all that they learned.